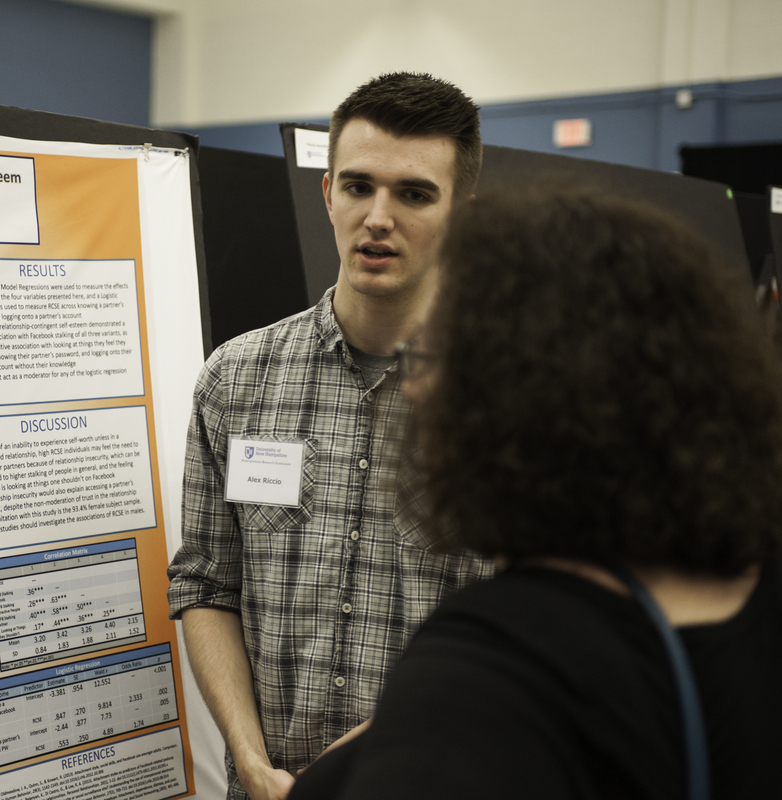 The All Colleges Undergraduate Research Symposium is an interdisciplinary event that offers undergraduate students from all majors the opportunity to showcase their research in the form of a brief oral presentation or a poster. The All Colleges Undergraduate Research Symposium provides the opportunity for students to share their research with a university-wide audience. Student presenters are expected to check-in at the registration desk (outside the Granite State Room, MUB) 30 minutes prior to the start of their session and to check into their presentation room 15 minutes prior to the start of the session. Upon arrival at the registration desk, presenters will receive a name tag along with a program and room assignment. We strongly encourage presenters to attend other events at the All Colleges Symposium and to utilize the URC Email Invitation option to invite peers, faculty and friends. Please join us for a continental welcome breakfast to open the All Colleges Undergraduate Research Symposium. Opening remarks will be offered by the UNH Provost and the Hamel Center for Undergraduate Research staff. Session A 9:30 - 10:40 a.m. Session C 12:15 - 1:25 p.m.
A moderator hosts each individual oral session held in the MUB. Sessions will start promptly. All students are allotted eight minutes for their oral presentations followed by two-three minutes for questions. The majority of the sessions include approximately five to six presenters. The exact session to which each student is assigned will be included in the final program. The moderators will evaluate each presentation to identify students who will receive an award of excellence. Oral Presentation Help offers important suggestions for preparing and implementing an effective oral presentation. 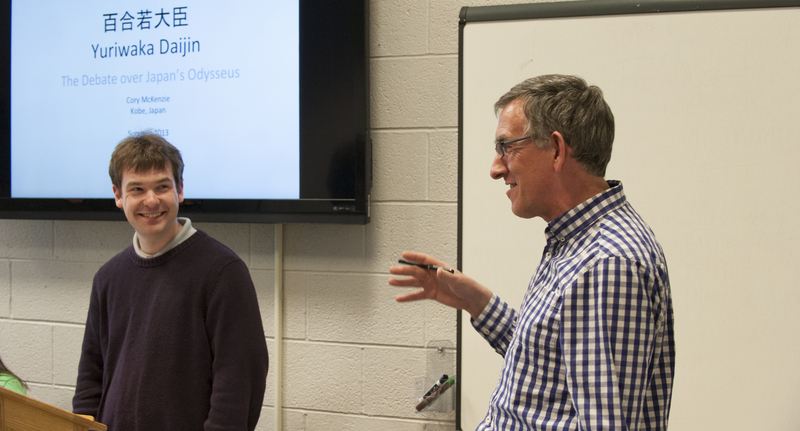 Session A 9:30 -10:40 a.m.
Poster sessions will be held in the Granite State Room in the MUB. Poster Presentation Help specifies size requirements and offers suggestions for how to create an effective poster. 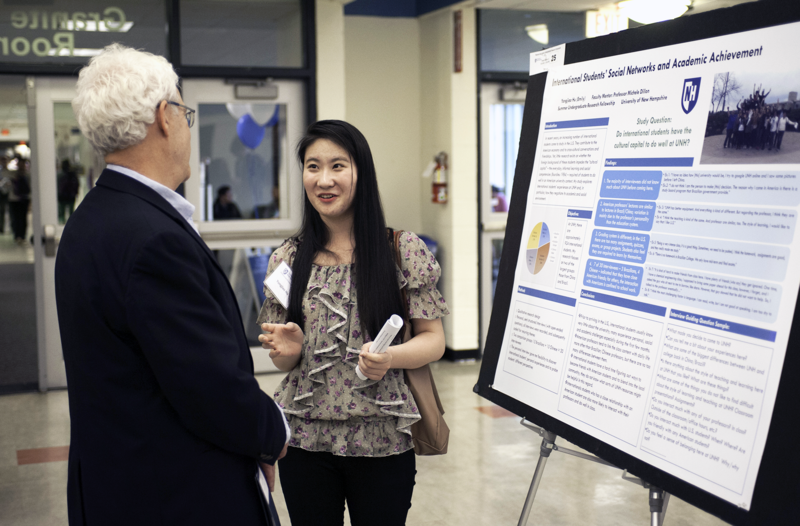 During the poster session time frame (9:30 a.m.-12 Noon), poster judges will evaluate each presentation to identify students who will receive an award of excellence. All students in poster sessions will be provided with one easel, one 40"x60" black poster board, and push pins to secure the poster to the board. Students are expected to deliver and set-up their posters the day before the event (on Thursday) between 3-5 PM in the Granite State Room. On the day of the event, students will remain at their posters for the duration of their session (70 min.) and may not remove their poster from the exhibit until both poster sessions finish at 12 Noon. For more information about the All Colleges Undergraduate Research Symposium, contact the URC.